When they moved in together, the apartment complex needed a photo of their cat. I should preface this by saying my friends are husband and wife and are why I was in Scotland earlier this year. Anyway, back to the cat. 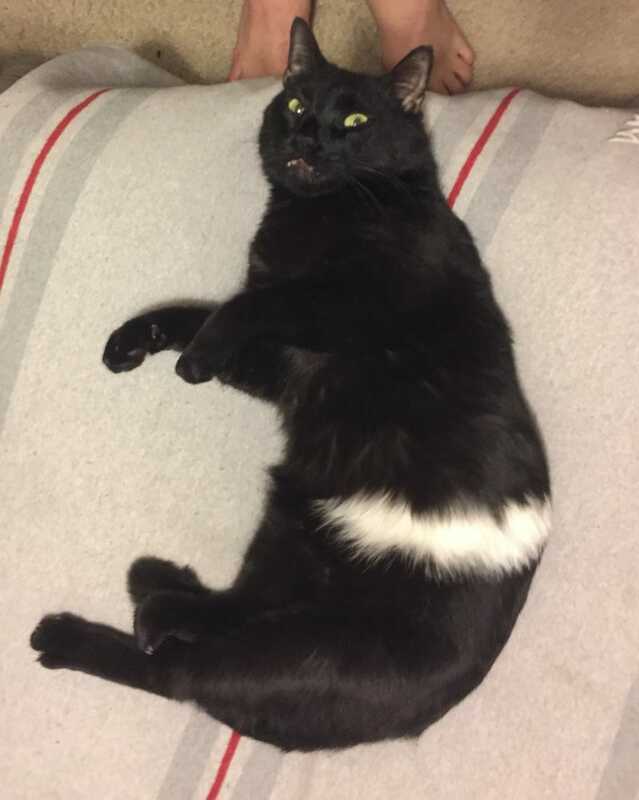 Well, Sierra told Chad that the apartment complex needed a photo of Skunky, so he took this and was satisfied with the result. So they both submitted the photo to the apartment complex as well as print it out and put it on their fridge. I always found it funny and wanted a digital copy for myself. They were unable to find it for a long time until I was at Sierra’s desk at work; Sierra is one of my coworkers/friend and Chad is my best friend from college. I mentioned it to her and she then texted her husband about it as well as look on her google drive, assuming it would be there. Sadly it wasn’t found in either source. That’s when she started to look through her phone and stumbled upon the picture. Upon this discovery, she texted me the picture. I then had one of my friends, who has done other things for me, photoshop out the background. I then decided, well, I need this on a shirt. So I designed a shirt with the cat on it and ordered one. It finally came in the other day. Damn do I look good.